Welcome back to Rachel and Kurt’s wedding in Washington DC! Despite the rainy day, they pulled their whole wedding group inside at St. Francis Hall for both their wedding ceremony and reception. 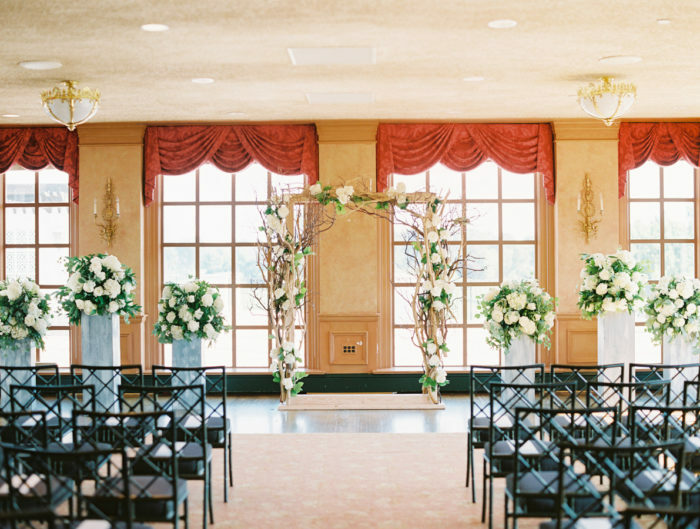 If you missed their special wedding ceremony, you can see all the amazing details here. After the duo exchanged vows, the party kicked off the party indoors surrounded by DIY wedding details, including handmade favors and centerpieces in the picture-perfect color palette of mint and gold. Personal touches may have made this wedding unique and special, but it was the dancing that helped make it memorable! Rachel and Kurt simply glowed on their wedding day when they hit the dance floor as husband and wife and Ken Pak Photography captured every intimate moment flawlessly! 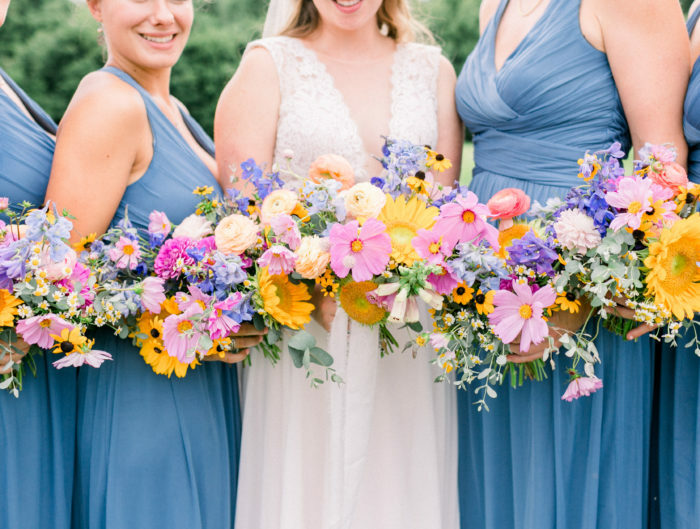 Thank you to Ken for sharing this pretty palette and Washington DC wedding with us! From Rachel: We knew we wanted lasting memories for our wedding day, since multiple married couples had told us the wedding day flies by. Because of this, we splurged a little on our wedding photographer, to make sure that they captured all of the tiny details. We also wanted to make sure our wedding was in a central location in Washington DC with ample parking, since most of our guests came from out of town. All of our wedding table centerpieces were handmade. I loved the idea of underwater flowers, and learned how to put them together on Pinterest. I also made all of the pomander balls used to line the wedding ceremony aisles. I made our fan ceremony programs (printed at Staples), and painted all of the vases, easels, and frames used during the wedding. We were able to find great deals on the vases and frames by shopping around online. Kurt’s favorite wedding memory was our first dance. The spotlight was on us, and the DJ played one of our favorite songs (Latch in acoustic by Sam Smith). The wedding reception hall looked beautiful with the lights dimmed and the candles lit, and it was a memory that we will not forget. Parking parking parking! Find a wedding venue with ample and free parking. Your wedding guests will love you for it! Although it seems like weddings in Washington DC have to be super expensive, there are plenty of ways to cut down costs. There are a lot of things that you can do on your own as long as you make time to do them. Don’t pay for things that your can do yourself! Book your wedding venue and your other wedding vendors early. Wedding venues in the DC area may book out over a year in advance, so once you find that special spot, lock it in! Congratulations to Rachel and Kurt! Thank you for sharing your swanky gold and mint inspired Washington DC wedding reception with us!